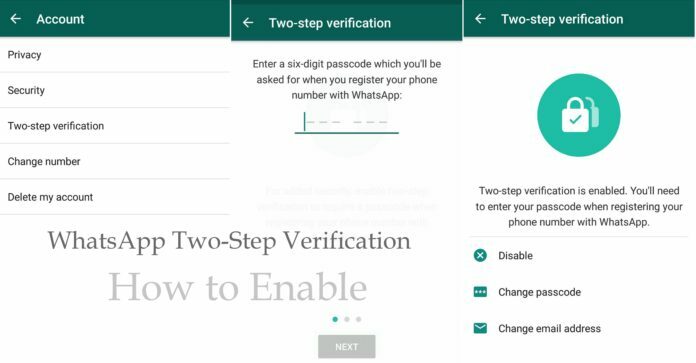 WhatsApp is coming up with the new feature, two-step verification is rolling out for their users. 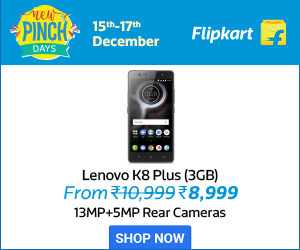 This new feature is available in the recent beta version for Android and some of the users has also witnessed this feature working on the Windows Phone beta app. 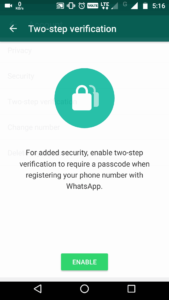 Once the WhatsApp is enabled, the app allows the user for the static six- digit code each time when the new phone tries to access WhatsApp with the registered number. From many months, it has been rumored that WhatsApp is going to introduce two-factor authentication. And now putting end to all rumors, WhatsApp has come up with this new feature for beta users. Now you can able to see the things like disabling the two-step Verification, Change passcode, change email ID address. Done! Two-step Verification is enabled. 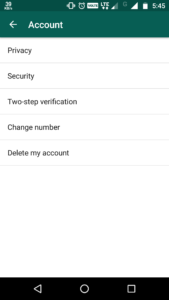 The above process will give you the direction to active the Two-step verification on WhatsApp. The new 6 digit number and the email address has to be entered during the registration. Email-Id has to entered for resetting the passcode when you forget. After this process at the final screen you will be able to see the final page with the successfully enabling the two-step verification. Apart from this Two-Step Verification update, WhatsApp has recently come up the Video calling support. Additional to this snapchat or Instagram features are also included. WhatsApp is introducing different features these days and expecting more features in the future updates.